A Thing About Nothingness was made for the Ludum Dare #26 with my friend Sy who is a philospher and a talented artist. 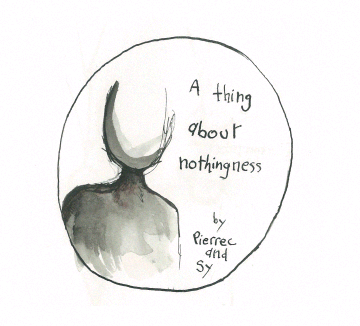 Thus, A Thing About Nothingness is “philosophical” and beautifully hand-drawn. The game is about Eugene, and his quest for Cynicynism (prononced “Cynismeesmeesmee”), there are 9+1 endings. It was totally improvised and ended up #10th in Humor and #37 in Mood.